Fun, engaging, and action-packed! Students learn better and are more motivated when they can put English into action! 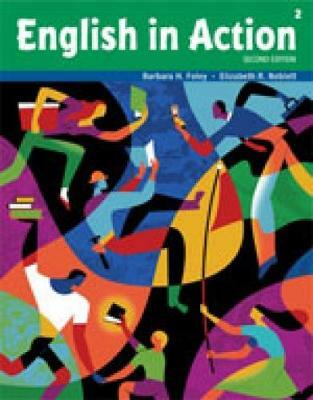 The second edition of English in Action provides learners with competency-based support for building language, life, and work skills in real world settings. Learners are engaged as workers, family members, and citizens through a communicative, practical, and active approach. Fun English in Action is filled with fun and exciting content and activities which motivate students to master the skills presented. Engaging English in Action empowers students and promotes learner persistence through dynamic, communicative activities, helping to build confidence in and out of the classroom. Action-packed English in Action encourages learners to communicate and participate in a lively learning process that offers interactive technology options, providing various avenues to learning.